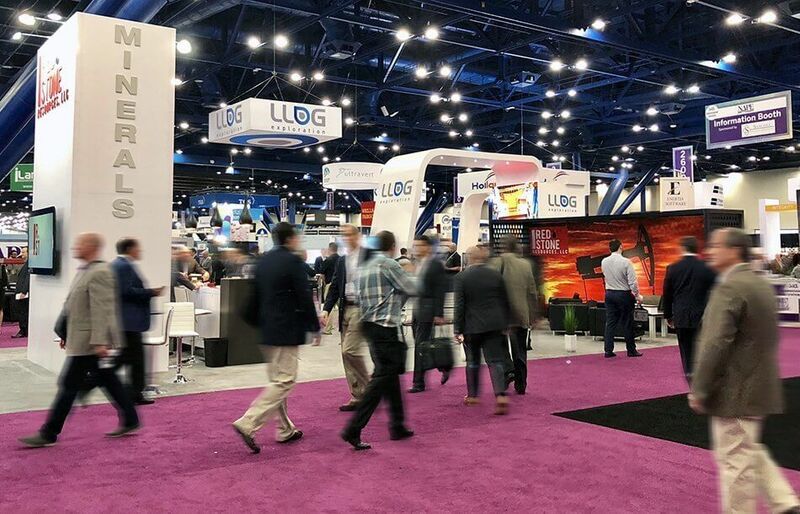 Recently our crew was setting up exhibits at a major tradeshow in Houston TX, and we encountered an exhibitor who had never been to a tradeshow before. This company had purchased a 20×20 island booth space and was trying to outfit it, quite unsuccessfully, with rented furniture and bannerstands. At first, we didn’t understand the question, knowing that an island booth is open on all four sides, and there really isn’t a “front.” There may be a preferred orientation facing the entry of the exhibit hall, but there really isn’t a “front.” An island booth is meant to welcome visitors on all four sides. After clarifying the inquiry, we suggested that they consider the front of their booth as the side facing the entry door. We explained that most attendees would enter from that direction. It seemed logical to us that could be the “front” of the booth. As we continued setting up exhibits, we were relieved our own clients had the forethought to call a professional exhibit provider. Tradeshows are the place to be your best. They require weeks and months of strategic planning and a competent team to help you get results. In our opinion, the price paid for the booth space is wasted if you are not showing your 100% absolute best. The exhibitor in this 20×20 island probably had a quality product backed by excellent service. It saddened us to think they may not achieve the results they hoped for at this tradeshow. Exhibit Network is here to make sure this doesn’t happen to you. Check out our HAPPY HOUR GUIDE to help you prepare for your next tradeshow. It’s fun, it’s easy, and it helps you avoid wondering where the “front” of your booth is. Go to Happy Hour…we got this.